Good debt and bad debt are real—and they have a big impact on families. More and more of us believe all debt is a curse. A new study shows how wrong we are. Like it or not, debt is the engine of the modern capitalist economy. Back before our financial lives went off a cliff, personal finance pundits liked to distinguish between “good” debt and “bad” debt. Putting a two-week vacation in Punta Cana, Dominican Republic, on the credit card with vague plans to pay it off was bad debt. Borrowing money to buy a home or attend school was good debt. And, at least when their advice didn’t involve predatory mortgages, they were mostly right. Then came the Great Recession, and the millions of foreclosures and more than $1 trillion in student debt it left in its wake. * Suddenly the personal finance gurus who said it’s OK to buy a home with next to no money down needed a new gospel. That, it turns out, might have been something of an overreaction. There is such a thing as good and bad debt—and the bad kind might be making us fear all of it, even when we shouldn’t. In a paper published in the most recent edition of the medical journal Pediatrics, Lawrence Berger, the director of the Institute for Research on Poverty at the University of Wisconsin, and Jason Houle, a sociology professor at Dartmouth College, suggest that when it comes to the youngest members of a household, not only does the nature of the debt matter a great deal, but certain types of debt are associated with better-adjusted kids. So what’s going on here? In the view of Berger and Houle, struggling families may rely on credit card and other forms of what’s known as unsecured debt to meet immediate needs. But it’s a temporary salve, not a cure. 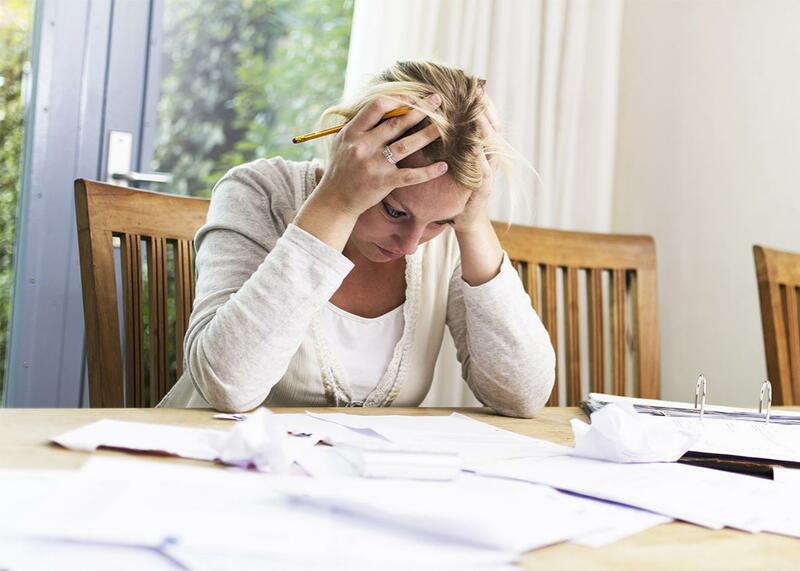 The financial woes both leading to and resulting from the debt can leave borrowers stressed and anxious—possibly impacting the mood of the home. One British survey from 2014, for example, found children from families with what researchers described as “problem debt” (a Britishism for unsecured debt) were more likely to fall behind or be bullied in school. At the same time, “good” debt might reflect and amplify the benefits a particular household enjoys that lead to better-adjusted kids. Wealthier families, after all, can afford costlier homes in neighborhoods with excellent schools. College graduates enjoy greater earnings than people who never begin or complete higher education. Debt improves their life—and, by extension, the lives of their children. In fact, it might even spur them onward—at least to a point. Rachel Dwyer, an associate professor of sociology at Ohio State University, conducted a study for the Third Way, a centrist Democratic think tank, and found that student debt up to $10,000 was associated with an increased likelihood the borrower would graduate from college. After that, not so much. Students owning more than $10,000 are less likely to complete their studies. Yet, like it or not, we need debt. As David Graeber wrote in Debt: The First 5,000 Years, there is no known society that didn’t function with some form of debt. Nonetheless, debt and shame go together like horses and carriages, even though getting ahead is so very hard without it. Debt is the engine of the modern capitalist economy. Everything from the mass adaption of the sewing machine in the 19th century to the proliferation of the automobile in the first half of 20th century was dependent not on people saving their limited funds, but on the strategic use of borrowed money. We laugh. We know those children grew up to be the greatest generation, revered for both their sacrifices during World War II and their ability to live within their means. But we forget the lesson when it comes to our own lives. So what else would help? That’s beyond the scope of Berger and Houle’s study. Another suggestion is restoring limits on the interest rates creditors can charge—something common in the United States until the late 1970s—which could help many households’ debts from getting too out of control. So would, well, a better economy, one in which fewer of us have to rely on the bad sort of debt to get through the day, week, or month. But we shouldn’t have to wait for that to remember that we need not view debts as failures, but as something that can help us get ahead—in moderation, that is.